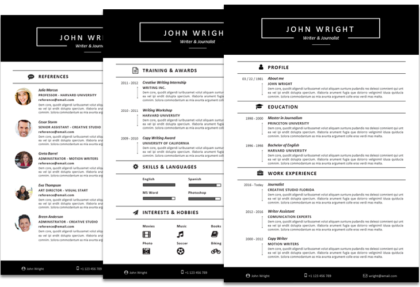 The John Wright resume template – full width is one of the bestselling resume templates for Word in this collection. It comes with a full width layout which is very wide, providing all the necessary space to fill in a lot of information. Package 1 comes with the first page of resume which features sections as a “Profile Description”, “Education” and “Work Experience”. You can easily add and remove instances from the sections, whereas you need to reduce or increase your information. Moreover, if you would like to have a more comprehensive resume, you can select Package 2, which comes with the second resume page (“Training & Awards”, “Skills & Languages”, “Interests & Hobbies”), and also a Reference Page and Cover Letter, all matching in style. On the second page, just like on the first one, you can customize all the sections. You can change “Training & Awards” to be additional “Work Experience”, or whatever you desire. You can change “Skills and Languages” to be anything you can measure by using the convenient measuring bars. You can also copy-paste instances and sections around, in order to create new ones or delete existing ones. 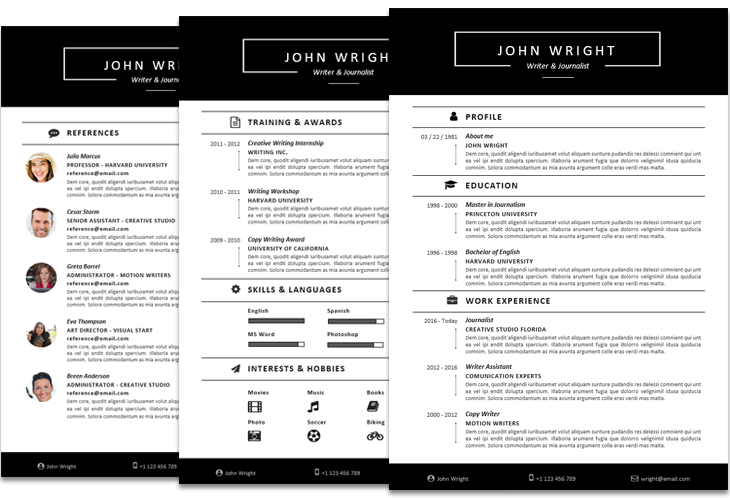 These are just some of the actions you can perform with this resume template. 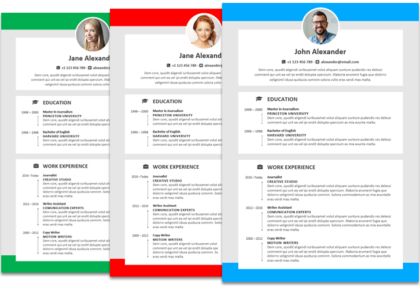 This is a Word resume template that works just like any other Microsoft Word file, it’s totally customizable. You can even change colors to any elements if you wish or add a candidate photo. 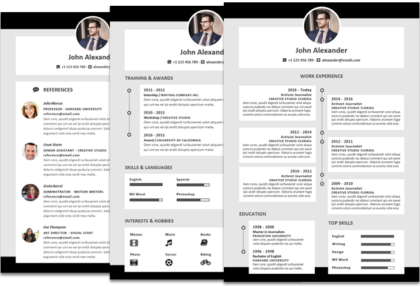 Ultimately, this functional resume template comes with 675 icons that you can use in the “Interests & Hobbies” section at the bottom, and they are also used in combination with the resume headers. 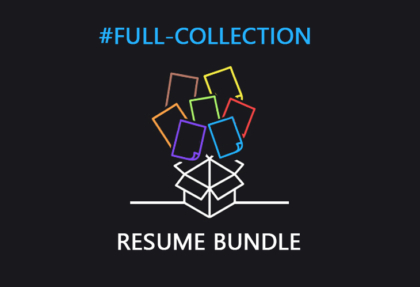 The 675 icon pack offers a good variety, therefore there’s a lot of icons to pick from if you would like to change the existing icons next to the resume headers or create new sections. 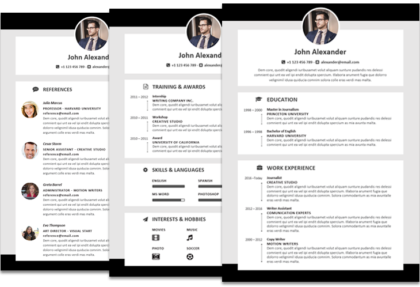 The resume header hosting the candidate name, with its black color, make it a very trendy and elegant resume template, where you can also highlight your Profession. The bottom footer concludes the design beautifully showcasing your contact information. This professional resume template is definitely one that shouldn’t be missed, when applying for a job in a professional manner. A professional resume template for Word like this is what I really needed. I agree this is the best resume word template in the market. 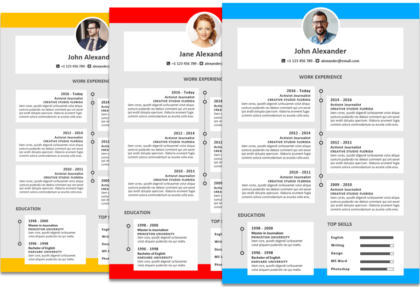 Yeah this is an absolutely modern resume template! This should be a resume format suitable for UK and US that I will be using as my curriculum vitae. No doubt one of the best resume templates for word. And I was looking for a super one. 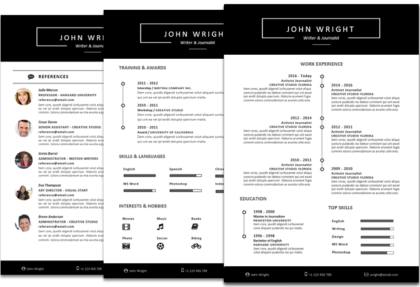 A cv resume template for MS Word that is stunning and original, even cool. I would have downloaded a free resume instead but then I found this one that I love. I was searching where to find resumes on microsoft word, and it was here on this website. I wanted something original, like a creative resume template word (free), but this one met my expectations. 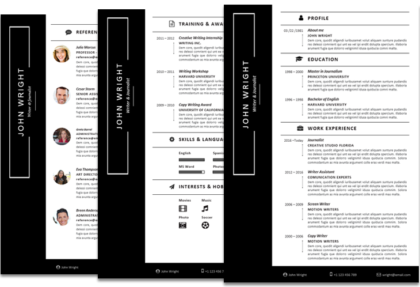 Download a curriculum vitae template is never easy, but this one for Word is the best.